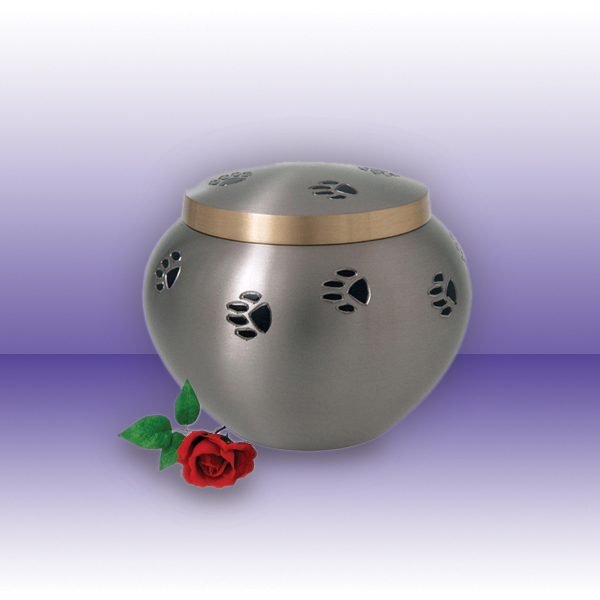 Your pet is returned to you in a complimentary bamboo urn. 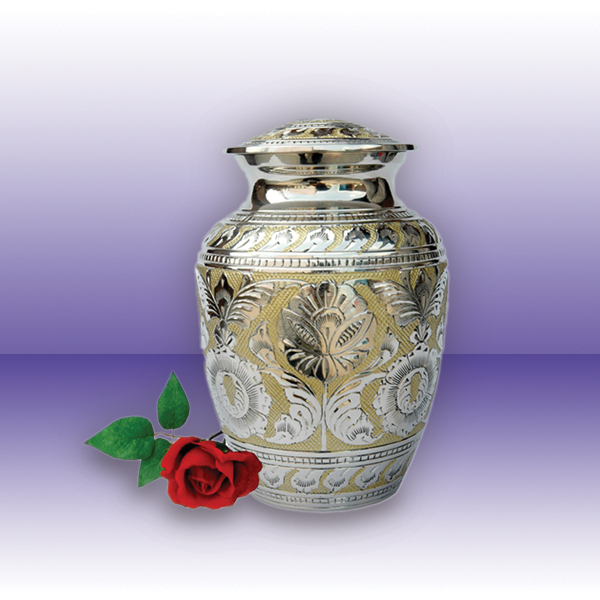 If you prefer, you may purchase a decorative urn, brass plate or laser engraving. See detail and pricing below. 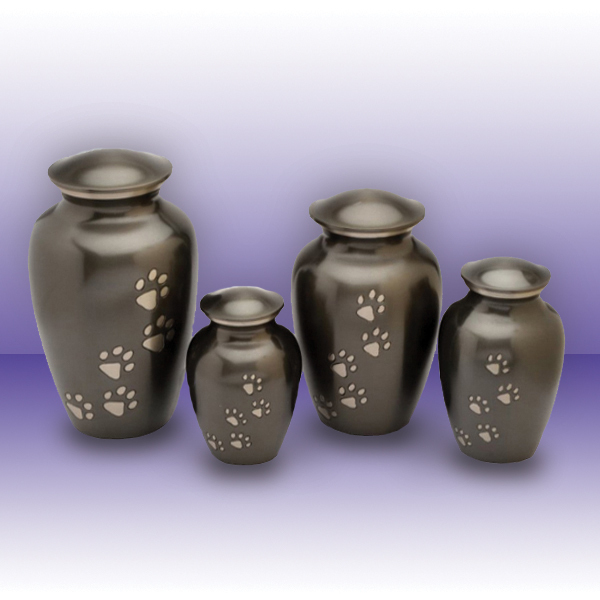 Urns vary in size depending on the weight of your pet before they passed. 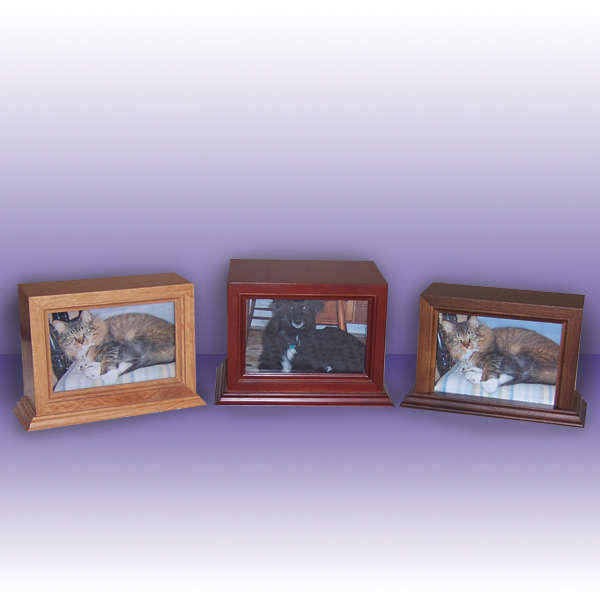 Please select your pets’ size to see your decorative urn choices.All photo urns hold a 4” x 6” borderless photo. Please click here if you would like to download the price list in the Adobe PDF format. 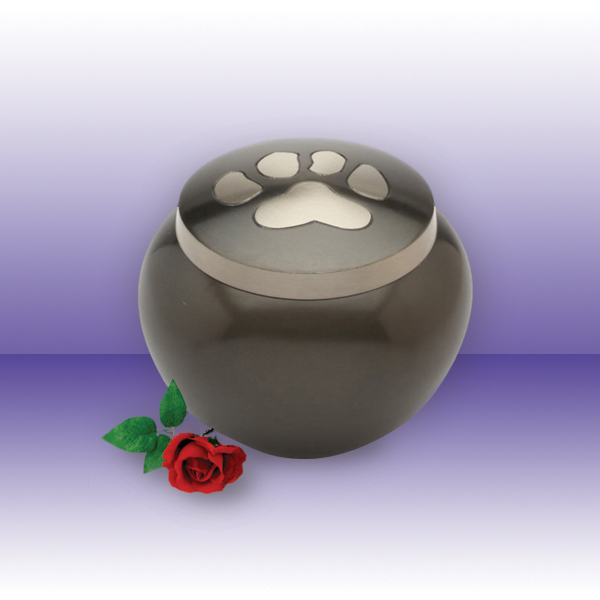 Select urn size based on your pet’s weight. 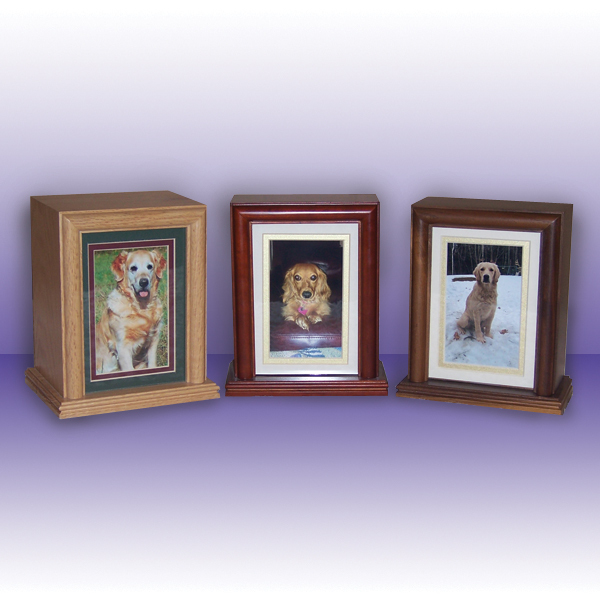 All photo urns accommodate a 4″ x 6″ borderless picture. 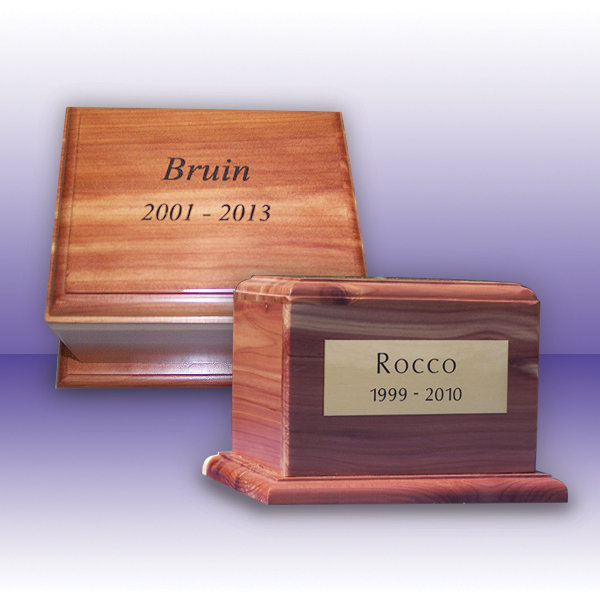 All wooden urns made from solid North American Red Oak, Cherry, Walnut and Aromatic Cedar. Photo-Ready, Cherry w/glass front – 39 cu. in. 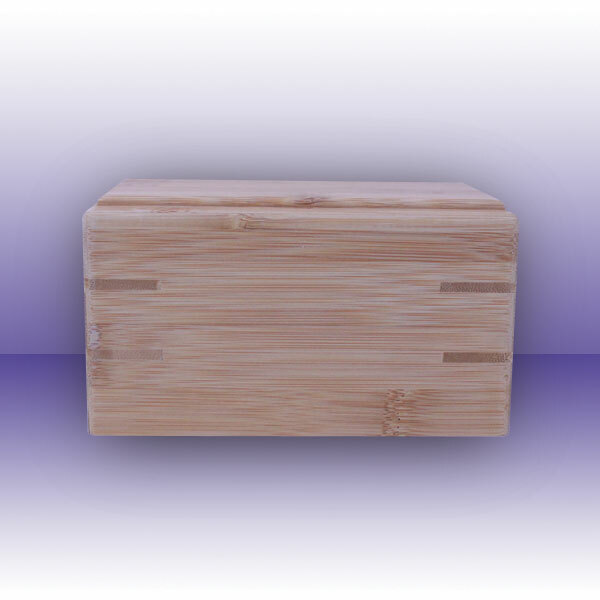 Photo-Ready, Oak w/glass front (shown) – 39 cu. in. 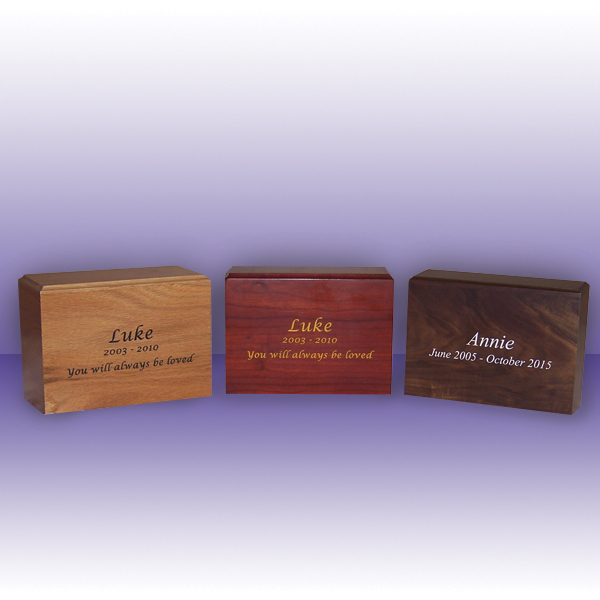 *Montalcino pricing includes three lines of laser printing. 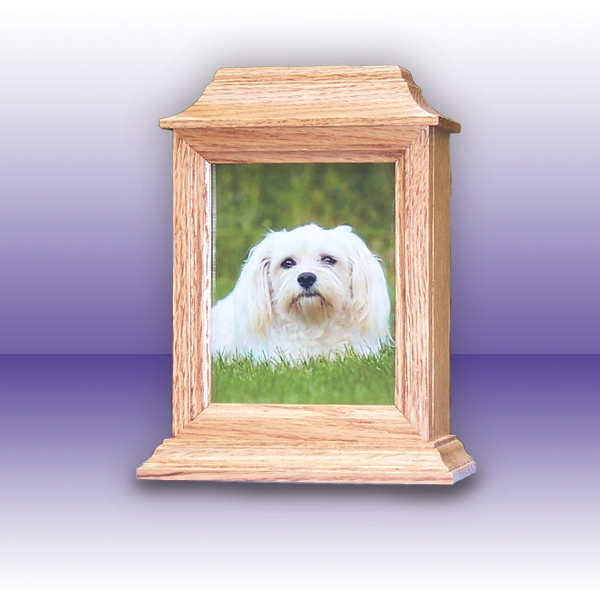 Photo-Ready, Oak w/glass front (shown) – 150 cu. in. 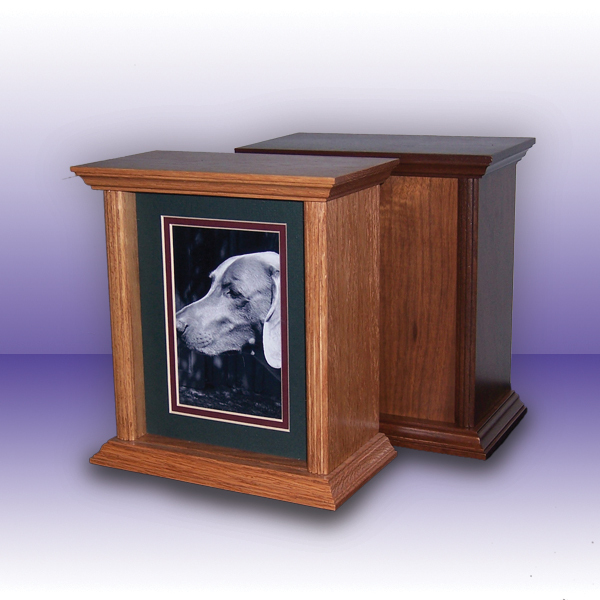 Photo-Ready, Walnut w/glass front – 150 cu. in. 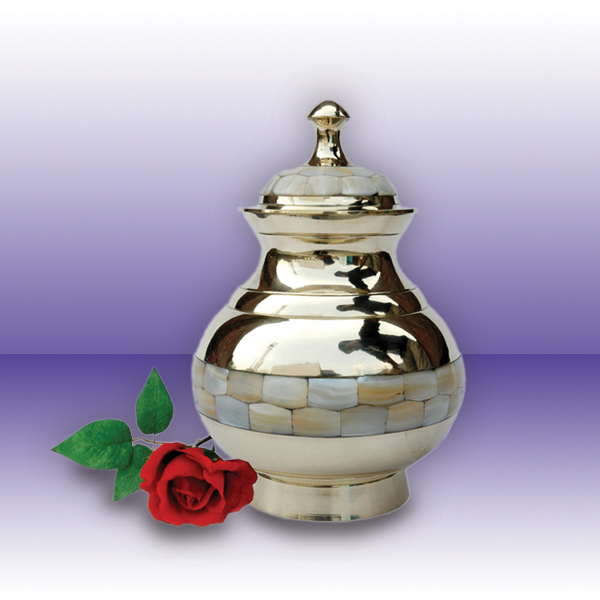 *Provided as part of cremation service. 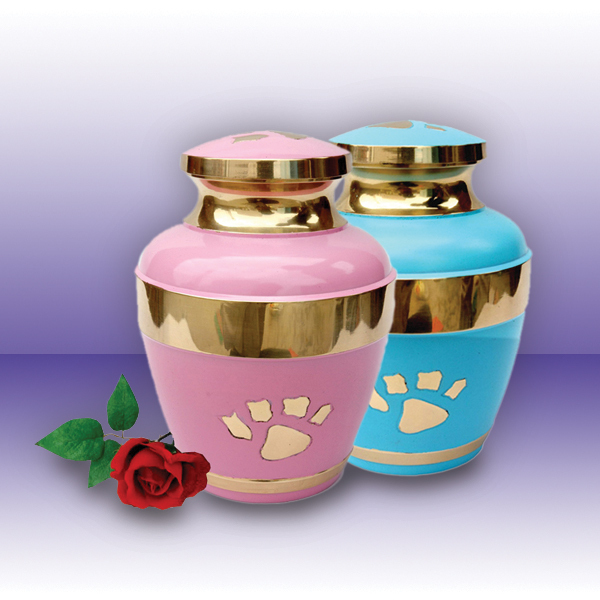 Cost for each additional urn. Brass plate or laser engraving sold separately.